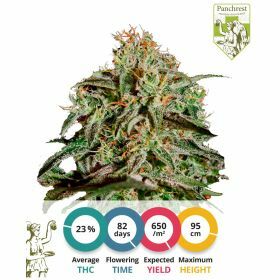 Despite the original Amnesia being prone to fungal attacks such a bud rot, this Amnesia auto is especially good to be grown outdoors. Its flowering time is really short, which makes it a nice strain to be grown in countries where the Indian Summers are relatively cold (e.g. USA, Canada, the Netherlands). This Amnesia strain was bred while keeping in mind that people from the northern hemisphere would like to grow it outdoors. We have chosen short flowering plants in the breeding program for two generations to make sure that the offspring of these seeds will be fast. It is of utmost importance that these Amnesia auto cannabis seeds are germinated in the substrate that they are going to be grown in for their entire lives. The plants that are grown from these seeds are easily affected by the stress that repotting will impose on them. Repotting Amnesia auto will therefore most definitely decrease the harvest at the end of the cycle. This is true for most autoflowering strains, but is especially important when growing Amnesia auto cannabis seeds, because of its low stress-tolerance. 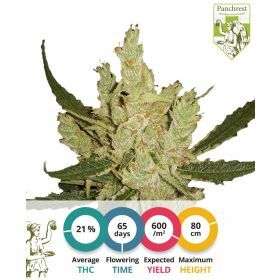 The Amnesia cannabis that is yielded from this plant gives a clear but heavy high. Its potency is not to be underestimated. 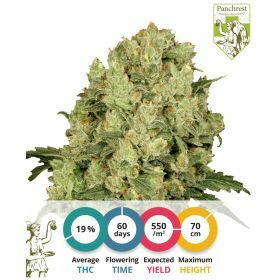 As with most autoflowering strains, the plants that are grown from these Amnesia auto cannabis seeds will give the grower a slightly less satisfactory “cannabinoid to biomass ratio” than its non-autoflowering ancestor. 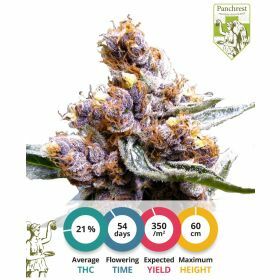 This is compensated by the shorter flowering time and thus by the amount of A-quality bud that can be harvested in a year.